I have used Avast Free Antivirus for years. 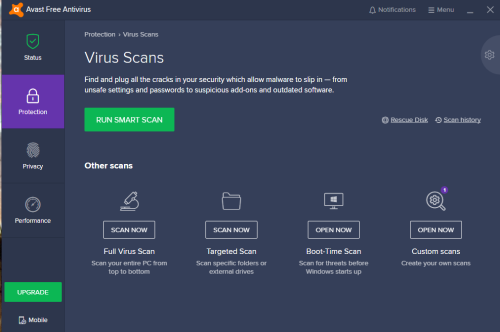 I downloaded Avast Free Antivirus from the Avast website. Everything works perfectly. Except that I cannot find BOOT TIME SCAN. BUT there is NO BOOT TIME SCAN option !!!! Or is it hidden somewhere? I cannot find how to access it? Thanks it worked. Something must have been corrupted. Maybe the cleaning tool did the trick.